Jan Traylen: Landscape photographs in B&W and colour. A village in the Spanish area of Las Alpujarras with snow in the mountains. 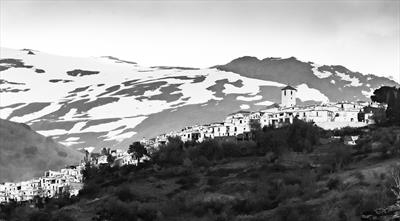 A village in the Spanish area of Las Alpujarras with snow in the mountains. Use of a telephoto lens foreshortens the subject so the mountains appear to dominate.